Happy Socks Stripe Dot Socks. 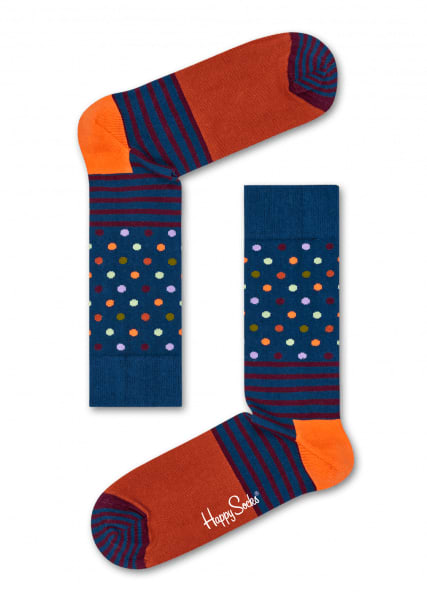 With a medley of patterns in one comfortable combed cotton sock, you'll never get bored with our funky Stripe Dot sock. A teal cuff and ankle are the background to multi-coloured dots in lilac, coral, terracotta, olive, plum and mint green.